This is beautiful impression stone. 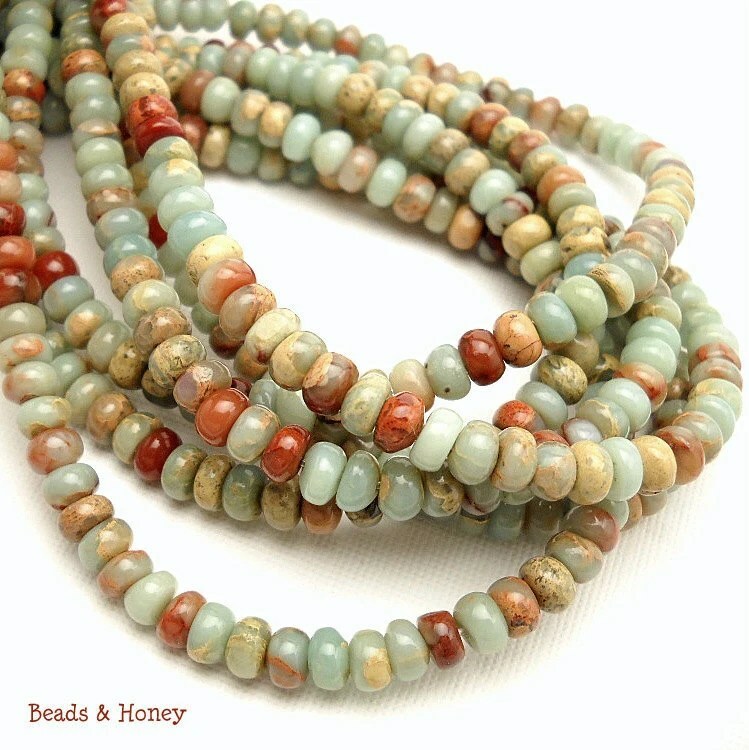 It is more commonly known as impression jasper or sea sediment Jasper and comes in a light sea green, aqua-like color with brown webbing, often called aqua terra jasper, which gives reference to sea (aqua) and earth (terra). It’s true identity seems to be a bit of a mystery, but the stone may be a form of soft onyx marble, magnesite, or even serpentine. 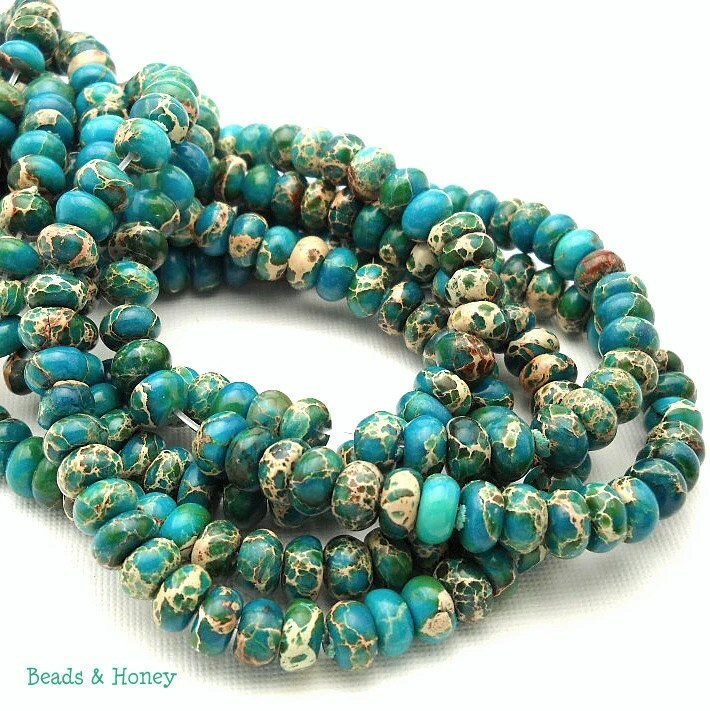 Besides the “regular” aqua terra color, these beads are often stabilized and enhanced to a wide variety of colors. If you’ve been with me for a while, you know I usually have a wide variety of impression stone. But I have two new colors, part of the trunk show, that are new to the shop. 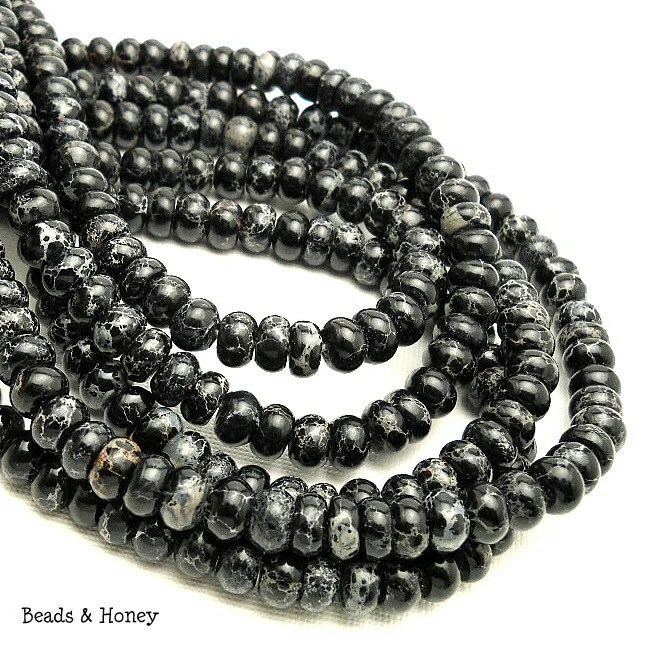 The dark blue green stones have very intense color and would be great for summertime jewelry. And, I was so surprised to find these black stones, as I’d never seen them before. They are really stunning and I imagine could easily be dressed up or down. I hope you’ll take time to check these out. Remember if you make any purchase in the shop during the trunk show (April 9-23), you’ll be entered to win a strand of genuine Arizona turquoise! Let me know. Do you ever work with impression stone? Which do you prefer, the regular variety or the brilliant colors?